In these pages, the Cornell University Library and the Cuneiform Digital Library Initiative (CDLI), an international research project based at the University of California, Los Angeles, present a database of the 197 inscribed objects in the Cornell University Library collection. 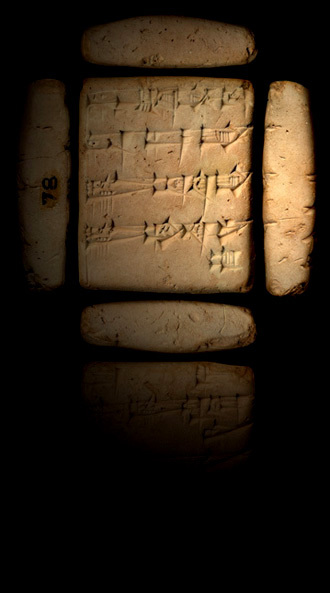 The cuneiform objects here were digitized following the standard conventions of the CDLI. The full catalog of the collection, including transliterations and translations of the texts, and word and sign glossaries is currently under construction. contains an inscription of the Old Babylonian king Sinkashid of Warka/Erech (ca. 1800 BC); click image to be directed to the text’s corresponding CDLI page.